A Texas congressman refused to be kept out of the McAllen Border Patrol station where about 1,000 illegal immigrants, primarily children, in squalid, cramped conditions, the Blaze reports. Rep. Henry Cuellar, a Democrat, said the immigrants are squeezed into the facility, and many have infectious diseases like tuberculosis, chickenpox and scabies. 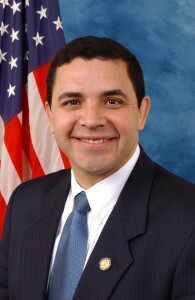 Cuellar said he talked to some of the children in the holding area and blamed failed immigration laws on the problem. Posted: 6/16/14 at 8:52 AM under News Story.